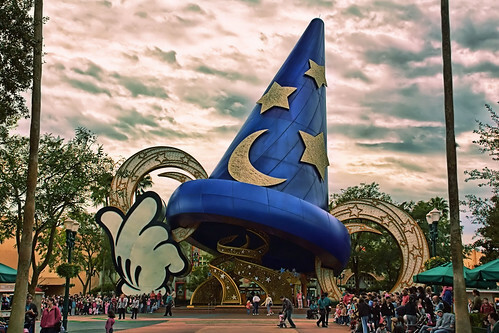 Image by Express Monorail This is a picture of the giant Sorcerer Mickey Hat looking down Hollywood Boulevard at Disney's Hollywood Studios of Walt Disney World in Orlando, Florida. This picture was taken shortly before the parade started, which is why there are people lined up on the sides of the street. 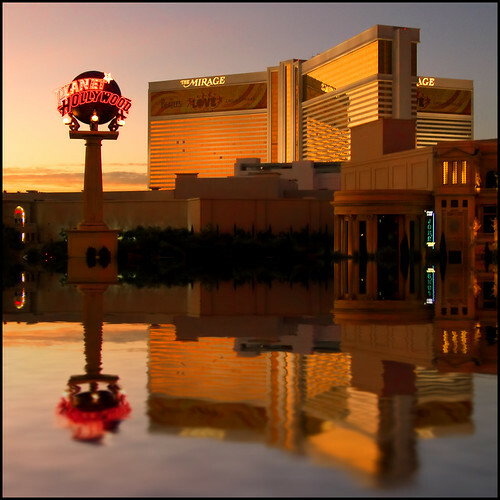 Image by ecstaticist Thanks to joe for the inspiration to flood the parking lot of the Mirage Hotel in Las Vegas. Have a great Thursday, everyone!